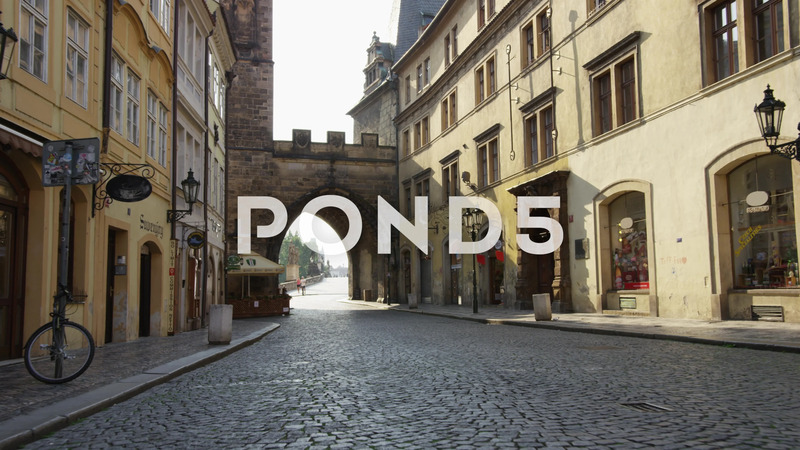 Description: A moving shot along an empty street in Mala Strana looking east through the tower on the entrance to Charles Bridge. A few runners can be seen in the distance. 4k.